The Fusion Rifle is a tactical, versatile choice for a Secondary Weapon in both PvE and PvP. You sacrifice the recently megabuffed close-range damage of a shotgun and the precise lethality at distance of a sniper, and in return you’re granted with a weapon that provides reliable damage in a variety of ranges, while not truly excelling at any. To this end, selecting an Exotic Fusion Rifle is an even more calculated decision; the powerful options you’re forsaking demand that you know what you’re doing. If you decide you need Plan C or Pocket Infinity, we want to be sure you know how they stack up against each other. This guide will tell you everything you need to know (and more) to make the best decision. If you’re looking for Legendary alternatives, check out our top 5 Legendary choices. Taking a look at its stats, we can see it excels in several areas. It has an unusually high Impact rating, outstripping several common Legendary variants, including the popular Light of the Abyss – though it falls short of the excellent PLUG ONE.1 and particularly lethal The Trolley Problem in this respect. Its base Charge Rate is also slightly above-average, especially for its Impact rating. The base Stability and Range are decent as well, although it loses out in stability to PLUG ONE.1 by a sizable amount. As for the Reload Speed, it’s maxed without any modifications, leading to near-instant reloads any given situation. What we’re left with is a Fusion Rifle that is extremely mobile, quick to fire, and accurate with stopping power at a fair distance. It doesn’t sacrifice DPS for overall accuracy, and is versatile across all content. But how does it fare when we take a look at its upgrades? As far as first row sights go, Plan C has a few good options to consider. Field Choke adds a bonus to Range and Impact at the cost of Stability, CQB Ballistics boosts the Stability considerably while reducing range, and Smart Drift Control adds even more Stability at the cost of even more Range. We recommend either Field Choke or CQB Ballistics. Field Choke trims the conical spread and lengthens the distance before damage begins to drastically drop off, while CQB Ballistics provides a hefty increase to Stability without handicapping its Range to the extent that Smart Drift Control does. Hip Fire is quite handy on this gun, allowing for a tighter spread in situations where maintaining radar and not reducing visibility is paramount. Those who enjoy keeping their speed up and avoiding ADS will appreciate it. The third row of perks is where this gun’s versatility truly begins to shine. Plan C arguably has the best options available here, as Accelerated Coils, Hammer Forged, and Perfect Balance all help to shore up its “weaknesses” and turns it into a real monster. Honestly, a case could be made for selecting any of these. Accelerated Coils supercharges its Charge Rate to a blistering level, allowing for near-continuous fire; Hammer Forged pads its Range for maximum engagement at a distance; and Perfect Balance immensely fortifies its Stability for increased control. Generally in PvP you’ll want to choose Accelerated Coils. Looking for a close-range, accurate, Crucible loadout? Try CQB Ballistics and Accelerated Coils. Do you want a stable & precise PvE build whose shots are meant to count? Boost its Stability with Smart Drift Control, and counteract any range difficulties with Hammer Forged. There’s almost no wrong answer. We would steer clear of maxing just Range or just Stability, however. Fusion Rifles are designed to need both to succeed in ranged engagements. Finally, its Exotic Perk is simply the icing on the cake. “Plan C” results in practically instantaneous charge times when this weapon is switched to from a Primary or Heavy. Put simply, it throws the average charge rate out the window, eclipsing even the fastest Fusion Rifles with Accelerated Coils. It should be noted that there is no way to abuse this perk past its intended use; after firing the “Plan C” boosted shot, there is an intrinsic timer that prevents quickly double-switching to fire off a second. Still, the cooldown on this timer is very reasonable, and you will find yourself taking advantage of this perk more often than not. Indeed, the only downside is attempting to time your Plan C shots with the absurd difference in charge times when the perk is active. Hidden Bonus: Using this weapon will increase movement speed, à la MIDA Multi-Tool – not while you’re running though. Statistically, this weapon has very few downsides. You could argue that its base Stability and Range are slightly too low to match a couple other popular alternatives, but Plan C can remedy either of these by taking advantage of its quality first and third-row perk choices, as discussed above. Plan C‘s magazine size of 5 is also a bit of a disappointment; many Fusion Rifles have 6+ charges per clip. Fortunately, the Reload Speed of 100 makes this a non-issue unless you absolutely need 6 or more consecutive shots. So, Plan C sets a pretty high bar – can Pocket Infinity match it? 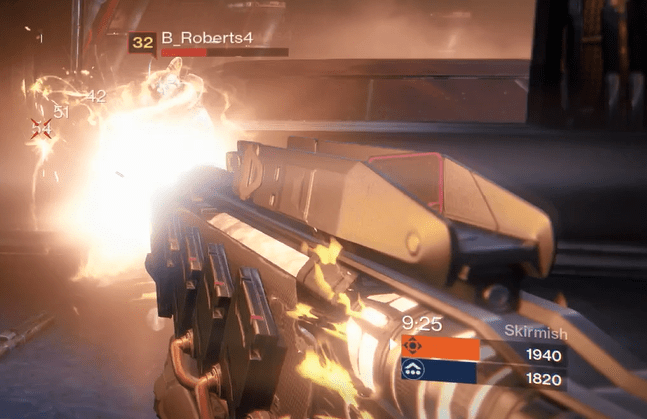 We’ll take a look at what the automatic-firing Solar blaster can do. 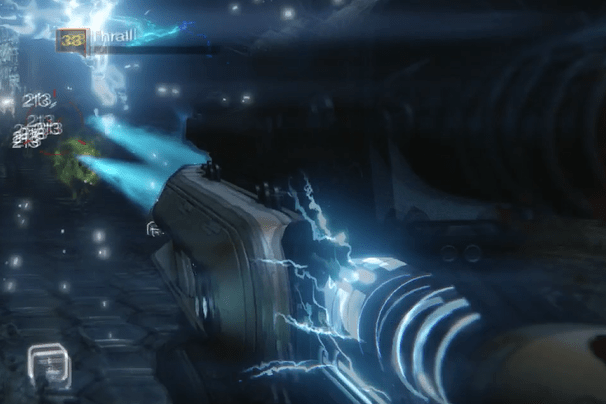 Pocket Infinity is another example of an Exotic weapon whose stats belie its actual power. Very few of its base statistics are worthy of mention. Its impact is serviceable enough to take advantage of its special niche, which is worth noting. It also has a blistering reload speed that, although it falls short of Plan C‘s max, makes finding time to reload a trivial matter. There isn’t much more to be said in support of Pocket Infinity‘s stats, so let’s move on to what really constitute this weapon’s strengths. Pocket Infinity desperately could use some more Stability, so both Soft and Smooth Ballistics are welcome options for buffing this to acceptable levels. The former sacrifices a little Impact while the latter penalizes Range. Neither is an appealing trade-off, but we recommend Soft for the most part; you can afford to lose a bit of damage if it means more reliably landing full volleys. Surplus is definitely not wasted on Pocket Infinity. This weapon will quickly exhaust your ammo reserve, so the extra ammunition on pickup is amazing. Unfortunately, it does not increase rate at which Special Ammo drops, so its utility lies solely in making sure each Special Ammo box gives you the most bang for your buck. Much like Plan C, Pocket Infinity‘s third-row perks are all extremely useful. Hand Loaded adds an appreciable amount of Range, made all the more crucial following the hit to that stat that Fusion Rifles took in 1.1.1. Other options include Extended Mag and Perfect Balance. Perfect Balance is the best possible selection for those who wish to have a weapon that doesn’t get completely out of control following a single burst, which is a very real concern. Extended Mag buffs Pocket Infinity‘s clip capacity to 5, which can drastically alter how you rely on PI’s unique perk. The perk’s name? Pocket Infinity. 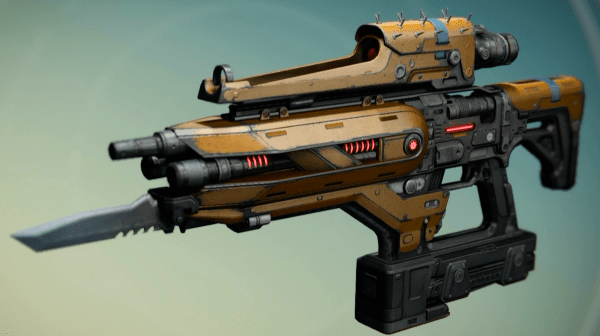 The eponymous perk defines how this weapon is used in Destiny’s world. It grants the ability to empty the entire mag uninterrupted after the initial, steep charging time. Each subsequent burst does reduced damage, but the collective DPS is still quite staggering, assuming the majority of the projectiles hit your target. Finally, Solar damage is exactly what Pocket Infinity needs. Solar shields present a huge hindrance in most PvE encounters. The ubiquitous wizards will positively melt when exposed to a clip of Pocket Infinity‘s particular brand of devastation. Despite its distinction as the only automatic Fusion Rifle – besides the fabled Mythoclast – Pocket Infinity has a number of weaknesses that hold it back from being truly elite. In examining its stats more closely, it has all the superficial makings of a pretty terrible weapon. The charge rate is hilariously slow, which is intended to offset the benefit of automatic fire, especially in PvP, but it still feels unreasonable in PvE. Its base Range is the worst of any Fusion Rifle, and its Stability holds the same status. These synergize horribly with its automatic fire, resulting in a weapon that desperately requires its first and third row perks to be able to deal death with any sort of regularity. Its base Magazine Size of 3 is also sadly low. Bungie has had a hard time learning how to balance Pocket Infinity, having decreased this stat, removed Extended Mag entirely, then finally added it back in with a decreased benefit. You’ll have to make a careful selection in deciding if they can afford to give up extra Stability or Range for the extra couple of shots. We’re left with a weapon that is undeniably underpowered statistically, and made much, much better by its perks. Does this combination do enough to make Pocket Infinity relevant though? We’ll break down how it compares and contrasts with Plan C in both PvP and PvE. For those lucky few who have both, these next sections will help you decide when to select Plan C/Pocket Infinity. You may have strategies and situations in which you prefer one over the other, so be sure to let us know that in the comments. There’s no doubt that Plan C is well-equipped for almost all PvE content. Its base stats and perfectly rounded perk profile lead to a weapon that is defined by its role in adapting to and dealing with any number of challenges. The same can not be said, unfortunately, about Pocket Infinity. 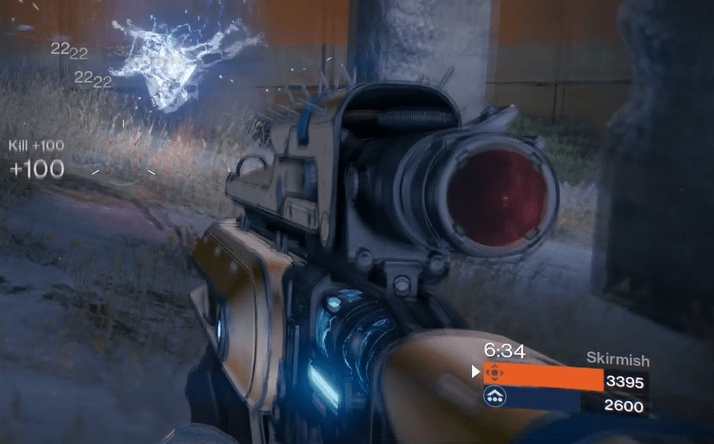 It’s crucial to our understanding of each weapon’s potential to understand the current role of a Fusion Rifle. As it stands, Fusion Rifles have seen their allure diminished somewhat since Shotguns were graciously given their 100% PvE damage buff. Previously, a Fusion Rifle was appealing in lieu of a shotgun for its ability to handle close-range encounters admirably while still having the capability of accurately dispatching enemies at medium-range distances. Now, Fusion Rifles have been boxed in considerably on both ends. The increased conical spread at range has limited their accuracy and effective stability, and they now can’t compare to Shotguns in outright CQB DPS. The best Fusion Rifle has perks that somehow push the edges of these limitations. Rangefinder, Perfect Balance, Accelerated Coils – when rolled on the right base model (think PLUG ONE.1), these can forcibly put a Fusion Rifle back in the fight as a very solid option. With that said, it’s easy to see why Plan C is still useful. Its base model has very impressive statistics, made only better by the fantastic options available to it in 1st and 3rd row perks. Its mobility, stability, and range, used in tandem with its signature perk make it the ideal archetypal Fusion Rifle. Moreover, mixing and matching perks doesn’t handicap it enough to force it into a single build. It’s this ability to adapt that makes Plan C such an attractive option for anyone looking for a Fusion Rifle in PvE. Pocket Infinity, on the other hand, is shoehorned into a very particular niche. Even with Hand Loaded, it is effective with automatic fire only in a very limited range. If you opt for Extended Mag, you gain some immediate DPS potential, but are left with the weakest potential stat profile. Perfect Balance guarantees you’ll land your shots, but only a maximum of 3, and with the most restricted range possible. Throw in its pitilessly low charge time, and we’re left with a weapon who can’t afford any of its trade-offs in PvE. Its best possible use is arguably pairing Soft Ballistics with Extended Mag or Perfect Balance. This helps it fit its limited calling as a close-range devastator. But then, you may ask, why wouldn’t I want to use a shotgun? Good question. Pocket Infinity, in PvE, is a clear casualty. If you are feeling Sniper or Shotgun-shy, or just want a fun Fusion Rifle to toy around with in PvE, Plan C is your best bet. As for Pocket Infinity, you might want to Vault it for now. Currently, the Crucible is a very close-range friendly experience. Claustrophobic maps with limited sight lines, Guardians with speed and vertical maneuverability, and high-powered Shotguns all foster a metagame in which it is not only safe to stick to CQB, but often the best strategy for victory. That being said, a Guardian that is mindful of his or her proximity to others can still bait and strand close-range, trigger-happy opponents in situations in which they’re completely helpless. Fusion Rifles can excel in either of these roles. Plan C is certainly a weapon to be feared in the Crucible. 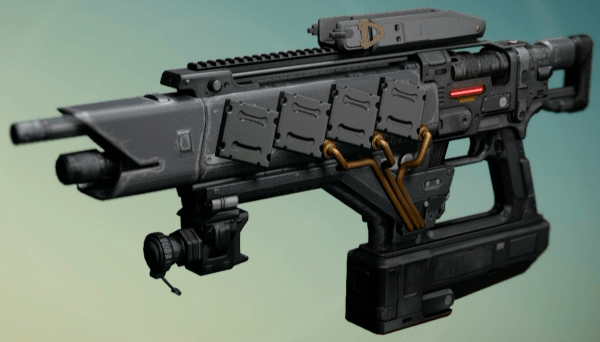 The same strengths that make it an all-purpose machine in PvE make it outright deadly in PvP. Its high Impact, Range, and Stability guarantee it one-shot kills at distances that can seem downright unfair to the unlucky victim. Plan C can also thankfully ignore the Fusion Rifle nerf at all but the most extreme distances, as its base Range and Stability are more than enough to keep its spread nice and tight. Its signature Exotic perk means that anyone using it can be a threat up to the very last second of their death, as switching from a Primary and firing a single burst happens in an instant. Finally, the extra move speed buff means Plan C is often in the hands of a Guardian who is willing to strafe frequently and close distances or backpedal unpredictably quickly. Anyone who has gone one-on-one with a Plan C user can attest to their heart pumping as the duel is decided. One wrong move and you’re dead. If you’re using Plan C, look to manage your distance very consciously to keep engagements on your terms. Keep an eye out for over-eager shotguns, bait them into charging, and backpedal or strafe while unleashing burst after fatal burst. When using your Primary, be ready to switch at a moment’s notice to guarantee that quick burst damage on anyone in range. Above all, understand when to retreat and when you’re outmatched. The best of the best may be able to win in a 2-on-1 situation, but most of us are better off picking our fights. Plan C is a surgical tool, and should be used with equal discretion. Pocket Infinity, while not enjoying the near-ubiquity it once had in PvP, is still a threat. While Plan C is able to be used with precision at range, Pocket Infinity is a blunt instrument. Anyone who has encountered a Pocket Infinity user will have noticed that they are almost constantly “spooling up” the weapon’s charge, ready to unleash a deadly torrent of solar damage around corners and cover. 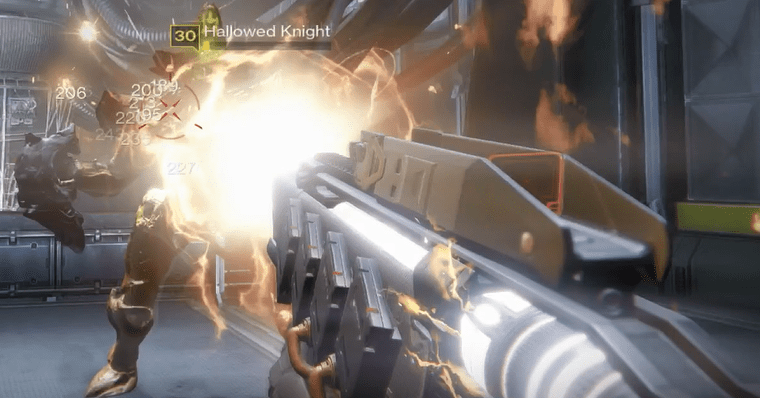 Often, connecting with just one or two of the blasts is enough to earn the kill – and double kills are possible and even commonplace with Extended Mag in the mix. If you plan on taking advantage of Pocket Infinity, be aware of your effective range and never get overly ambitious with your kill distance. If you’re frequently doing 50% or less to an enemy with a volley of shots, you’re likely stretching Pocket Infinity past its comfortable range. It’s an incredible defensive tool against aggressive fireteams who are looking to engage and pressure at close distances. It can simultaneously score easy kills on unwary enemies rounding corners or jumping out of close cover while serving as a deterrent of suppressing fire. Guardians might feel like they can dodge a single burst from Plan C, but many will think twice about tempting Pocket Infinity‘s intimate wrath. When timed with its charge rate, you can get in a rhythm of having a full clip of shots to spend as you round corners. With quick reflexes, it’s possible to snap to your target and empty your magazine before they can even get a shot off. Beware Shot Package shotgunners for their ability to spoil your fun, but know that if you can get the drop on a team at close range, there’s very little that can spoil your streak. Ultimately, Plan C probably still gets the nod in PvP too. Its utility as a panic button and immediate burst killer at respectable ranges is more universally appreciable than Pocket Infinity‘s singular niche. Still, when you know you’re going to be fighting in tight corners and enclosed spaces, you can’t go wrong with Pocket Infinity. Both Fusion Rifles have earned fame and infamy in equal parts, and one has come out the superior option for the discerning Guardian. Plan C just does what it does too well to suffer competition gladly. In PvE, it’s no contest: though the temptation of an automatic firing Solar Fusion Rifle is great, you’d be remiss in choosing Pocket Infinity over what Plan C can bring to the table. Although Pocket Infinity can still be scary in the Crucible, Plan C should be your Plan A when debating what Fusion Rifle to take into a fight.